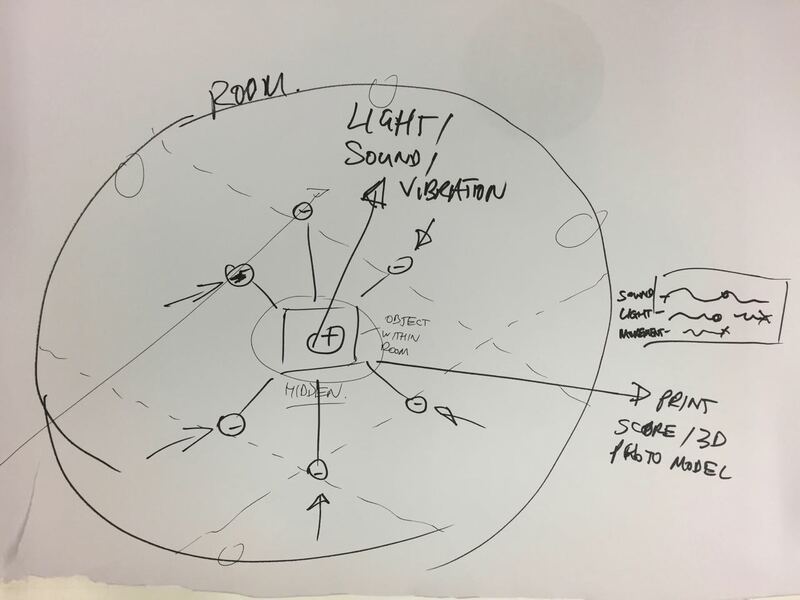 Thinking about the process that translates gesture to sound, sound to 3D sculptures, movement to light. How people will interact with the piece. What the touchpoints are? The elements that people can interact with. What do they look like? How do we signpost them? Make them usable. Is the interface clear or is there some mystery within it? What does the ‘box’ or object that contains the Arduino look like? Feel like? Sound like? What is the environment. Is the translation one way? Or does the user get feedback (haptics, smell, sound, light)? Creating or designing a process that will translate one type of input into a different output. Research sensors and how they can be used. Use skills in audio production and composition. What are the inputs and outputs of any audio / sound content? Create a musical score that explains the process of how the sound / audio / composition is generated.